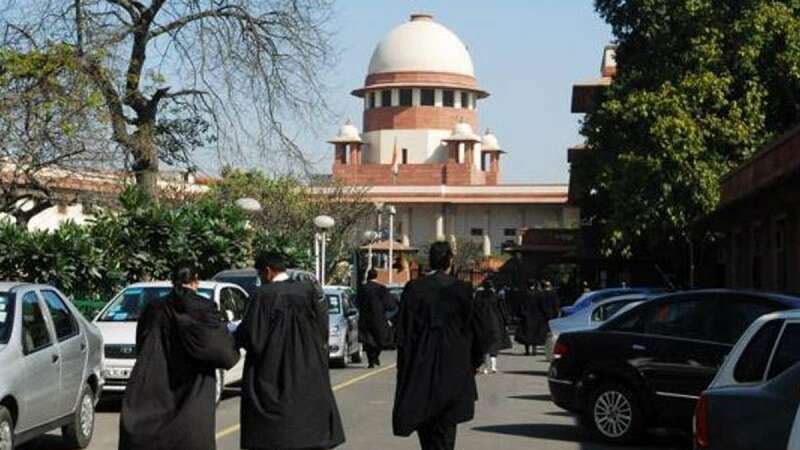 New Delhi : Supreme Court on Tuesday ordered Centre to draft a law that puts a cap on fees charged by lawyers to maintain ethics in the legal profession. Expressing concern over the growing commercialisation of the profession, a bench of Justices Adarsh K Goel and UU Lalit asked Centre to draft legislation in a way that even poor can have access to legal assistance. Maintaining that the legal profession is the “major component of the justice delivery system and has a significant role to play in upholding the rule of law”, the bench said that the significance of it is in its role in providing access to justice and assisting citizens. “Can justice be secured with legal professionals failing to uphold professional ethics?” the bench asked, reported TOI. So far there is no effective law in the Indian system that regularises the fee or for providing public sector services to utmost needy litigants without any fee or at standardised fee. The bench also noted that it is lawyers’ fees which have been one of the biggest reasons behind piling up of several cases.